October 12th is National Pet Obesity Awareness Day in the USA. Pet obesity is a ‘first world’ problem; I often see dogs in my practice that are overweight or obese. A vet check is always advisable before starting your dog on a weight loss programme. In my experience, weight loss isn’t just about dietary changes. Massage and stretching combined with exercise can help your dog feel better and move more freely – meaning more calories are burned to assist with any reduction in food intake. 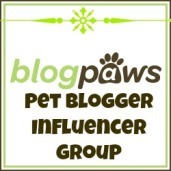 This entry was posted in dog care, Dogs and tagged obesity, obesity prevention, weight loss. Bookmark the permalink.